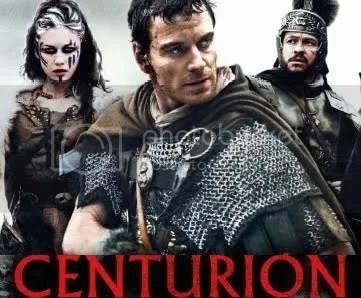 As has already been documented on this blog, I’ve been looking forward to Centurion for quite some time and for a quite a few reasons. 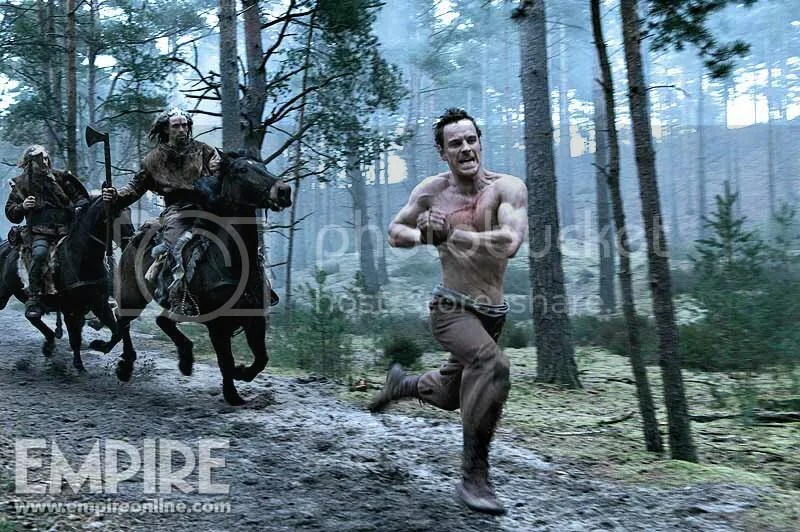 First, I’ve been a fan of Neil Marshall’s since 2002’s “Dog Soldiers”, not to mention I’m a huge fan of Michael Fassbender. I’m not going into a blow by blow or a typical review, but in mentioning Marshall’s first feature film I believe I’ve found a good jumping-off point. I’ve mentioned Dog Soldiers before, in reference to where I first noticed Kevin McKidd. 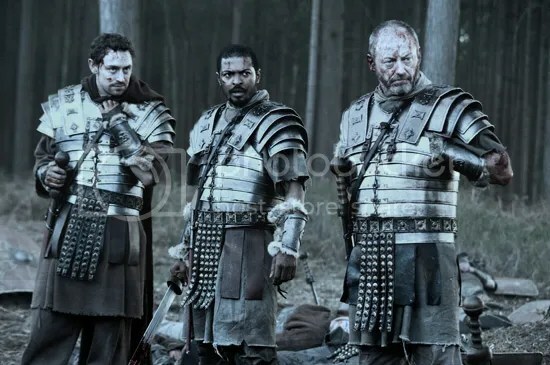 The film is a fresh take on the werewolf mythos that actually has a lot in common with Centurion. Both films are about the struggle of the underdog trapped behind enemy lines. In both cases, the “underdog” consists of the remains of what started out as a superior fighting force: in Dog Soldiers, a squad of highly trained British Army soldiers on tactical maneuvers in Scotland; in Centurion, an elite Legion of highly trained Roman soldiers, members of the occupying army in what would later become Scotland. 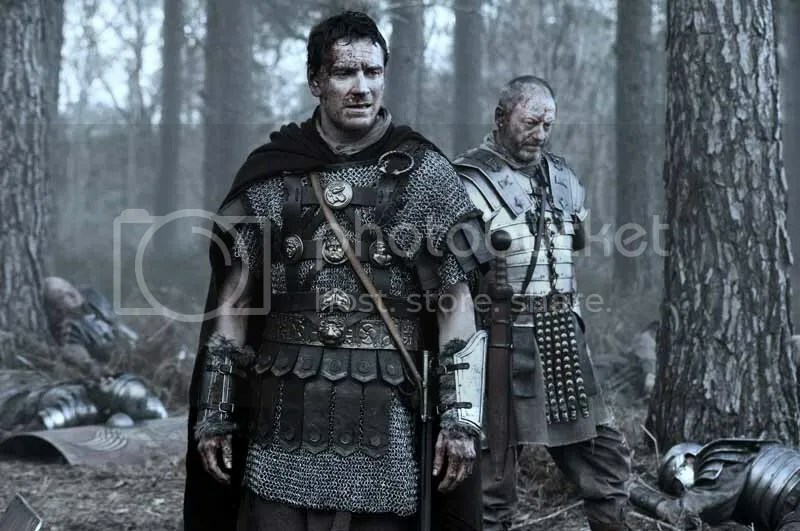 In both cases, we’re meant to root for the outnumbered few far from home whose only goal has become getting back to it, despite the fact that this cunning and resourceful handful was part of a larger force that was initially trying to wipe out the natives; (Even though in Dog Soldiers the natives were monstrous wolf-human hybrids and in Centurion they only painted their faces blue- they both were there first. 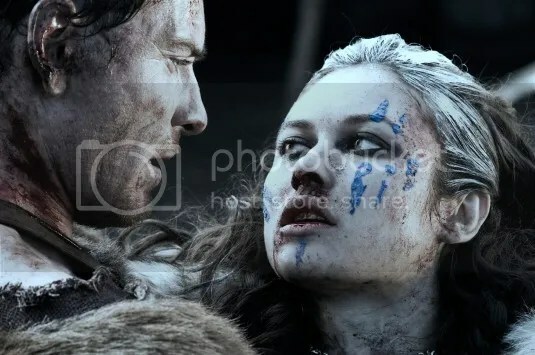 Speaking of blue faces…I’m thinking this is where William Wallace got the idea. 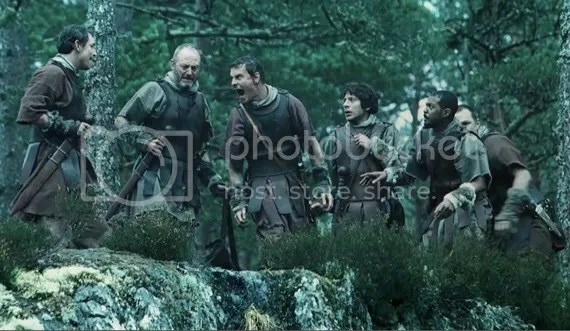 Or was it from Antoine Fuqua’s “Woads”*?) much the same way that we’re meant to root for the Cowboys vs the Indians in most American Westerns. In fact there are darker takes on quite a few characters that first appeared in Dog Soldiers. “Spoonie” is replaced by Thax, Emma Cleasby’s Megan is replaced by Imogen Poots’ Arianne. …wait…or is she replaced by Olga Kurylenko’s Etain? Elements of Megan’s story have been expanded and then divided up between these two characters. 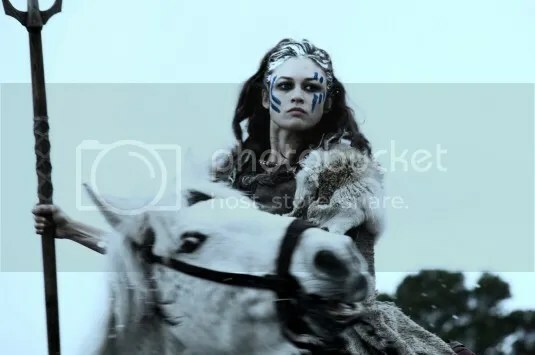 Having said that, I must point out that Etain is quite possibly the toughest, most ruthless female antagonist on film. If you throw in the fact that she does it all without saying a word, she wins hands down. Sean Pertwee’s Sgt Wells in Dog Soldiers is supplanted by Dominic West’s General Virilus. Both characters are “boysy” men’s men who command respect and inspire loyalty by being “of” their troops, not above them. Virilus is Wells on steroids. I would have liked to have seen more of Dominic West’s General, but that’s purely selfish. This wasn’t his story. West did what was needed, which was to create a leader that the audience could believe would galvanize a small handful of soldiers into taking action on his behalf and set the plot in motion. Not only did he accomplish that (and look good doing it, even covered in blood and filth) in his few minutes onscreen, but his ‘presence’ permeated the rest of the film. 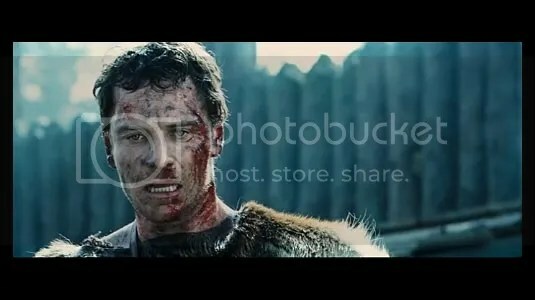 Which brings me to Michael Fassbender’s Quintus Dias. It is easy enough to compare this character to the luscious Kevin McKidd’s Cooper. Both characters exhibit resourcefulness and intelligence beyond their scripted stations. (Cooper is by rank a Private. Kept on the lowest rung of the ladder by his refusal to be blindly cruel for what he perceives to be the sake of it. Quintus is the son of a freed slave turned gladiator, but displays respect for his enemy by learning their language.) Both gain the trust of a local beauty, a loner either by choice or circumstance, who provides aid and comfort. Both characters are also the heart and soul of their respective films. If we don’t believe in either Cooper or Dias, we don’t believe in the road each man travels or care about the final result. Again, Fassy’s character is a souped up version of his earlier counterpart. 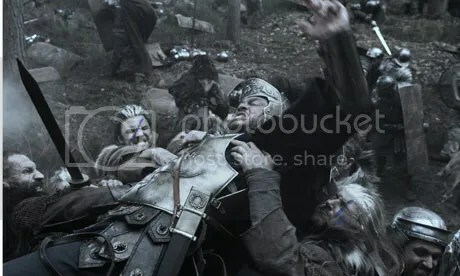 Physically, he takes much more of a beating than McKidd ever did, even in the latter’s climactic final fight scene.